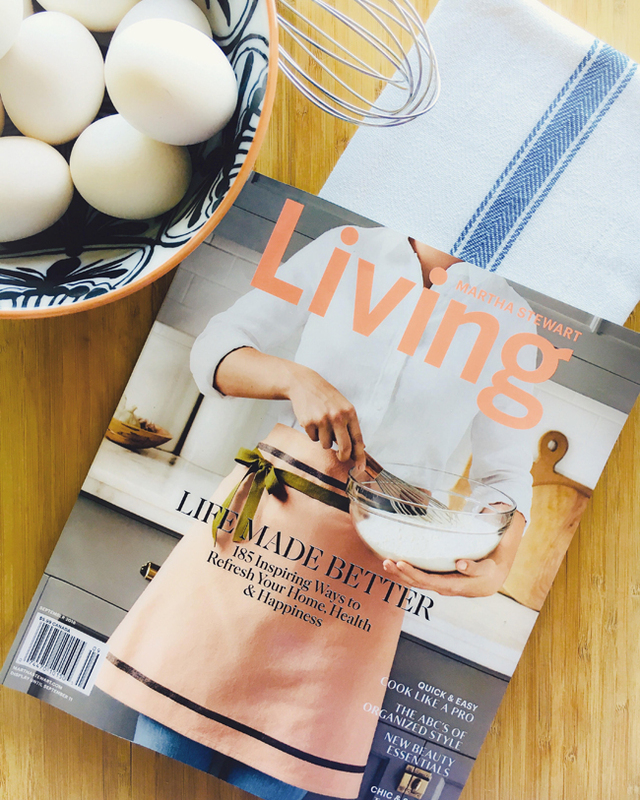 The September issue of Martha Stewart Living is always eagerly anticipated by readers. We're looking for all those features that make the magazine what it is: a good home feature, a good food feature, a good garden feature, some craft ideas and lots of 'how-to' advice sprinkled amidst beautiful photography. The 2018 issue delivers it, I'm pleased to say. We get a preview of Martha's next book, Pressure Cooker, due out on the 28th of August, and a beautiful feature about a garden in Vermont that blends formal English elements with free-spirited American whimsy. There's a great guide to making easy weekday meals once those September days start getting busy and, best of all, an ingenious feature on borrowing organizing techniques from classrooms of yore. There is even a look at the weekend home of model Carolyn Murphy, one of the few 'celebrity' inclusions the magazine has featured in its 28 year history; the editors were wise not to broadcast her feature on the cover and instead let it remain an interesting and exciting discovery. The cover feels fresh, too. Not a plate of food or even a beautiful room but an actual person who is not Martha in the act of culinary creation. It feels fresh and different and I like it. It's a good issue and I hope you'll pick one up! At this point, the cover has my interest! Something you have not seen on 100's of other covers. Great photography......equal to some of Ms Stewart's earlier (MSL controlled) magazine. Andrew, I love tag sales as does Martha and at one-- the caterer, as the outbuilding was set up as a large scale production kitchen-- I found a pristine at the time, apron. Dark blue, embroidered with a pair of handcuffs, a cupcake, a prisoner number and the phrase Free Martha. I wear it at work a labor intensive package processing and distribution center. It is somewhat frayed and worn but I can't find an image on line-- do you suppose this was a custom made item for the social circle of this person ?? have you heard of such an apron? ?